I love philosophy and getting into philosophical conversations with people and friends over pretty much anything... from whether it was the chicken or the egg that came first or why we can't see time, but we sure as hell can feel it and know it's around us in abundance. If you'd like to have somebody talk to you about these - and other such philosophical things - this book is most certainly for you. I picked this book up in The Book Warehouse at Springwood for a tiny $10 and I have the other two in the series 'The Big Questions: The Universe' and 'The Big Questions: Mathematics'. I haven't gotten my nose into those two yet, but I'm looking forward to them as I love anything to do with space travel and the planets and have done for as far back as I can remember and mathematics is a massive mystery to me and I'd like to know more about it. Yesterday, I pulled this book out and showed my brother and his partner, Kat, they were intrigued by it. So, I'm lending it to them for a while. Well, until my next post, happy reading. This week has been a week of great things coming in the mail. Yesterday, I received a copy of 'Crossing Paths' by Debbie Robson that I ordered from MacLean's Booksellers in Newcastle for myself for my birthday on 5th, October (I always get myself a pressie on my birthday seeing I've been single for over 10 years now). Also yesterday, a HGG arrived from a fellow Bookcrosser. A HGG has to do with the Christmas Holidays... and we start early there; it stands for Holiday Gift Giving, and it's a lot of fun! I received two stretchy book protectors - one black and one a vibrant purple. I also received a get well card from my Mum seeing I haven't been allowed near her because I'm sick and she's going into hospital soon. Well, today, I was off to the post office to check the mail and I found I had a lot of mail - again! - in my little PO Box. I pulled it all out and found a blue parcel pick-up card in amongst it, an envelope from AGL (an energy company) and two magazines from Good Reading Magazine in Sydney. I put all but the parcel pick-up card into my bag, closed the door on my PO Box and went to pick up the parcel. I found that a parcel of books had shown up from a Bookcrossing friend in Darwin; and you know, I had only sent her bag off to her yesterday morning! How cool is that? As for the envelope from AGL? It was a cheque with money owing to me from them when I changed energy companies... now that's very cool. Until my next post, happy reading! Next week I'm going to be away in another part of the city house sitting for my brother and his partner for the first week of October. I'll be away from the comfort of my home and - strangely enough - my office full of books (yes I find them comforting, I don't know how but I do). This got me thinking about how many books to take with me to read and which titles. I always take about two or three with me just in case I finish one or get bored with one and want to read the other; which makes sense. I also take along my books that I'm working on so I can read my own works and edit what I need to in case I get the urge to write because I'm in a different environment. I also take along my personal journal - or two if I'm coming to the end of one - to record the day and where I am. Different places make me write differently about different things. So, I'm wondering about what books you take on short holidays with you? Do you pack a box full of books and hope you read them all by the end of your holiday? Or are you the e-reader type and download a collection of books you wish to read on your time away from home? Until my next post, happy reading. I was looking around on Bookcrossing lately, and found this wonderful article about a day or so ago about a wonderfully generous man in Manila who turned his house into a library for the general public of his area. I thought it was so wonderful, that I had to put the link up to it here. How well do you remember your childhood? For Ray Bradbury, his childhood is as long as a Summer's Day and just as hot, beautiful and humid as the memories depicted in this book. Each chapter is a memory of his time in Green Town where Tom Spaulding grew up with his brother Doug enjoying their Summers with other kids. They'd run around, watch sunsets, listen to the silent nights after dinner while lying on their beds listening for their father to come home from Lodge. He told of their days where they picked Dandelions for their Grandfather - who made the famous Dandelion Wine - and how he almost lost the lawn that grew the weed to make the wine all due to a misunderstanding. Then, there was the time when the Happiness Machine was created; and what a machine it was! This book is a magnificent one to read. It brings back memories of my Summers and holidays I spent with my Grandparents. I have found I can dip and sample in any chapter as there's no real chapter headings and no continuing storyline; just good little vignettes - memories if you will - of his Summers with friends, his brother and how wonderful it is to be a kid. I highly recommend this book to anyone who wants to read something by this late, great author. Until my next post, happy reading! 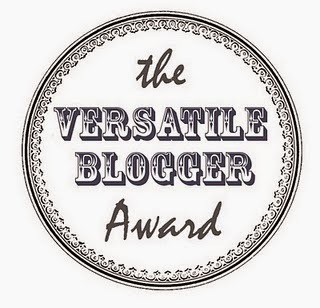 I've had a great week of appreciating books, readers and blogging. It's been fun. However, I've been reading some major books this year that I never thought I'd get into if you'd ask what I was going to read this time last year. This year I decided to get my nose into 'The Dark Tower Series' by Stephen King. So far, I've finished the first two books. They were brilliant, intense and had me on the edge of my seat! And I loved them. And there's another six books to go. What I love about these books is that I have decided to read something in between them to break them up a little. I'm getting my nose into 'Dandelion Wine' by Ray Bradbury. This is a book I've wanted to read for about a year, and have only just gotten my hands on a copy through QBD. It's a great book so far; and it has taken me back to when I was young as well, even though it's set in a totally different time. After the Stephen King 'Dark Tower' series and 'Dandelion Wine', I'm not sure what books I'm going to read next. However, I know that each year, I do get into some extra-ordinary reads. No matter who I get my books from, which bookstores stock my books, I always find something great and interesting to read. And I have always found that I never read the same book twice... isn't that great? There's enough books in our world where I haven't found time to re-read the same book as yet. Now, that's what I love about reading books; unlike movies - which are remade every 15 years or so - books are one of a kind. Until my next post, happy reading! One of my favourite reads is by Australian author, Estelle Pinney. She has been a close friend of mine for years and yet 'House on the Hill' has been the only book I've read of her lately. However, it's the most beautifully-written books I've loved as well. It's about three sisters who live in Far North Queensland who come home to stay for a while. It's a wonderfully-written book about their loves, losses, joys and downfalls and how their lives take twists and turns in the 1920's while living on the Hill. I love her way with words as Estelle takes me along with her in this book. In the above excerpt, from the beginning of Chapter 12, I can smell the salty winds coming off the water, feel the heat of the sun and want to go swimming because it all sounds so very inviting. And even Fred's little boat sounds pretty nice, even going at a small five knots... but how it looks is just lovely (even if I don't quite remember who Fred is right now). This book is a wonderful book to have in your collection - and as it's by a great Aussie author, who lives in Brisbane still - I recommend you find yourself a copy of it and her other books such as 'Burnt Sunshine' and 'Time Out For Living' as they are all set around Queensland and well-written books as well. Estelle Pinney is one author who is for every generation of our times. Until my next post, happy reading. I've been reviewing books for a few years now; and I started out doing this to see if anyone would read about old, first edition children's books and would like my opinions on books I've read. It turns out that my ideas were valued by quite a few people out in cyberspace. As my confidence grew, I thought to build up my blog into something that was a little different and began talking about authors and bookstores. The more I talked about the people who wrote our favourite reads, the more I wanted to talk about them. And seeing my obsession with books was something I loved, I found I loved blogging about anything to do with books on almost any day - sometimes twice a day. 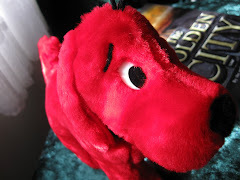 I enjoy blogging about books because it's what makes people happy - as well as me. I know there are people like me out there who are just as collectively obsessed with books as I am. It's the sharing of knowledge in such an easy way - through the internet - that I love. We can gather together on a blog and chat and talk about anything to do with one subject and totally enjoy a single thought process and know that - even though we're on different sides of the planet - we're mentally on the same page. Blogging has become a bit of a big thing for me. However, book blogging is a special amount of time I put aside each week where I carefully chose what I'm going to say because I know it's going to a particular audience... much like books and the way they're written. I love book blogging because it's about what's on the page, the beauty of books, the very art of writing and how people's minds and imaginations are opened up to the world through the written word. Books - and what is written in them - makes an author vulnerable to reviewers and readers. Blogging does a similar thing. I blog about something I'm passionate about - I'm putting it out there for the public to see - and it's something everyone knows about. However, I have found that not a single person has said anything horrible about my passion of books. Well... not yet. I have done a dreadful thing. Honestly! I have taken part in this wonderful event and didn't have a clue that there were daily events to take part in. But this is my first year on this; so really, this is a learning curve. I hope I can catch up with most of what I need to do in a couple of posts. Jeez, this really makes me sound desperate, doesn't it? Okay... here goes. Monday's topic: Appreciation. There's so many blogs I have on my side bar which cover the topic of books, reviewing and blogging about books, it's hard to pick just one. However, after having a few days to think about it, I would like to choose these blogs (I can't pick just the one like I'm supposed to, sorry) that have really made an impact on me and have been wonderful to read. I have had a wonderful time reading through these three particular blogs at some point or another while browsing my own blog; and I'm always adding more blogs onto my side bar that attract me to them to read. It doesn't matter what these blogs look like to me, it's always been the content that attracts me to them; and isn't that always the main attraction - if not the first thing - in appreciating a book blog? When I was in high school, my favourite subject was English. In fact, all through school, English was my subject where my talents for writing and reading shone through; whereas a lot of the other subjects didn't have the same attraction as this one. It may have been the subject matter or the teachers or the books we read. Whatever it was that made me love this subject, I know that from the very beginning of each lesson, I was right there in the moment with the teacher while my other classmates were probably thinking of other things - like being outside playing soccer or solving equations in maths - anywhere but in the English class. What made my life a lot easier in high school was a good Thesaurus and Dictionary. Without these in my school bag, I would have handed in ordinary work to my teachers in high school. And the best thing is that my Dad gave me his Thesaurus - a Roget's Thesaurus from 1968 - to use. I still have this very book sitting on the shelf to my left so it's within reach for any time I need it now. However, when I was high school, it and the dictionary were the last two books to come out of my bag. I normally waited until the whole class was seated and the door was closed (sometimes it wasn't) until I reached in and pulled them out and put them on my desk - sharing the books with a friend of mine next to me who wasn't good at spelling and I wanted her to better herself (because I knew she could if she pushed herself) - and yet still the kids in my year 11 English class depended on me to answer all the questions and be the main brains of the whole class. If these two books came out too soon, I had them thrown at me from across the classroom from an unknown source. Unfair, yes. Stupid and childish, yes. But I wasn't going to be discouraged by this display of what turned out to be total and complete jealousy by a classmate who wasn't good a subject where I was (after all you didn't see me throwing stuff at other students in a maths class when I saw others succeeding where I didn't. I usually tortured myself when I didn't pass my tests in those classes). It's been 21 years since high school and I still use that Thesaurus - but the dictionary needs to be replace. I also have picked up a copy of 'The Pocket MacQuarie Writer's Guide' to help me with my books and writings; to keep me from forgetting how things are supposed to be. Along the way, in my writing world, a friend of mine has given me another copy of the same Roget's Thesaurus from the same printing of 1968 and I have the perfect person for this book. By sheer coincidence, I had somebody give me another copy of 'The Pocket MacQuarie Writer's Guide' to me and it got me thinking even more that this person who loves to write as much as I do will enjoy using the same things I did in high school - and she is in high school too! My niece, Riley, is in year 8 at Sandgate High School and she loves her English classes as much as I did at school; and she has picked up the passion to read from me as well. So, I asked her over the weekend if she'd like the books I have acquired; and she jumped at the chance of owning two great books to help her through her subjects. So, what books have helped you in your past that you have been able to hand onto other people and relatives in your lives? Have you seen an improvement in your children's school work or university papers? Have you handed on a Thesaurus or dictionary to somebody who is just learning English (or the language you normally speak in your home country) and find they've found it easier to pick up your language because of it? Until my next post, happy reading! Roland's back in the second book of this great series. 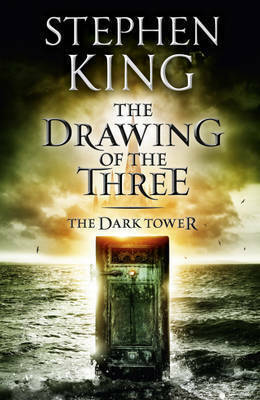 His mind is still on the Dark Tower, but now, he's on a mission, this is to draw three. However, he starts out on a beach - where the first book left him sitting, watching the sun set. He begins to walk north and finds his first door. Through this - another two doors - Roland finds he can enter into certain people's minds and into their lives, controlling them to a certain extent, to help them realise he needs them to find the Dark Tower. This first person was easy to talk into this; as Eddie ended up not having anyone to turn to and went with Roland easily. However, the other two doors were the real challenge. There was The Lady, who was Odetta Holmes who was a lovely, sweet, Southern woman who was crippled only a few years before. However, it was the other woman in the shadows of her mind Eddie and Roland had to be careful of... the scary, fearful one who made it difficult for either of them to sleep at night on the beach, or to turn their backs on her for a moment. The last door of the three was the clincher... the one that tied the whole three of these people together for Roland. But he didn't know this until he stepped through it and into the mind of a man whose hatred was so strong, he didn't dare take him back through the door; instead, he had other plans for him. I found this book one I couldn't put down. Even though I've been battling a cold lately, I have found myself fighting off closing my eyes late at night to read to the end of a chapter, and end up having to stop reading so I can be fresh enough the next day to remember what I've read. Yep, Stephen King has pulled me into his wonderful ways of story-telling yet again and I know he won't let go until he's finished creeping me out. However, don't read this book on its own, read it along with the other books in the Dark Tower Series; there's now eight of them. And I found turned around and made me laugh in this book when he mentioned another character from 'The Stand' in it and it gave me a shiver. I'm not a well person right now. Over the weekend, I caught a cold off another volunteer at the art gallery I volunteer at and today I was told by the doctor to take it easy and rest, drink lots of fluids and relax.... well, okay, can do! Now, these books are written down in no particular order, which means, they will be picked up in no real order either... however, once I finish off the first book up the top there, I'll be onto the Get Well Reading Pile. So, while you're crook with a cold or the flu, do you read? Or is sleep the only thing on your mind? Until my next post, happy reading. Today, it's Father's Day in Australia. However, I'm here at home on the net all blocked up in the head with a cold. Not a pleasant experience. Actually, over the weekend, I haven't slept all that well, so I've been picking up 'The Drawing of the Three' by Stephen King to help me through the rougher hours. However, once the light was switched off, I had worse hours ahead of me. I hate being sick. And what's worse is that it takes so long to get better. Seeing I don't get sick very often, I have been guzzling into the Cranberry Juice and trying to keep myself eating the right food; as I eat like no tomorrow when it comes to colds. But, as I wrote yesterday, I was going out to Garden City to look for a gift for my Dad; and I found it! I bought two bottles of wine for him at Liquor Land. They were good too; a brand I've never heard of but they were Australian, so that was good at least. Anyway, after I picked up a few other things I needed around the place, I caught a bus to Springwood and walked through Centro Mall and bought my 'Good Reading' Magazine and to Mum and Dad's place to give him his present. Well, he loved it! I ended up staying there for the afternoon, munching on nibblies and playing darts with them. The one thing Dad didn't know about me was that I could play the game; and I wasn't too bad at it either. I don't tell too many people I can play darts, but then, I don't get asked to play the game much, so it's not really a game people play now. I arrived home early and made a nice dinner of hot comfort food with plenty of garlic and watched 'Shrek'. I didn't get much reading done, but that doesn't matter, I was hanging out with my Dad. So, what have you guys been doing for your Dad on Father's Day? Or if it's been and gone in June, what did you do for him then? Until my next post, happy reading. It's going to be Father's Day tomorrow and I still don't have a present for my Dad. Well, I did plan to get him something, but the place I wanted to go to had closed down 2 months ago! Now, how did that happen without me knowing? Well, today, I'm off to find my Dad a good present that he'll use and not just leave on a shelf and let gather dust. And this got me wondering. What are you planning - or have you gotten your Dad if you live in the Northern Hemisphere - for Father's Day? Was a book, a series of books, a fine wine, a bottle of scotch, a holiday away? Let us all know. This weekend, I'm taking up Saturday to be with my Dad. And tomorrow - the day of the occasion - is for my brother, Gabe, who is also a Dad of a 12 year old. So, it's quite apt for them to hang out on the day and have a meal together... two Dads. Now, that's how it ought to be, hanging out for a meal and a few beers in the city. Until my next post, happy reading!